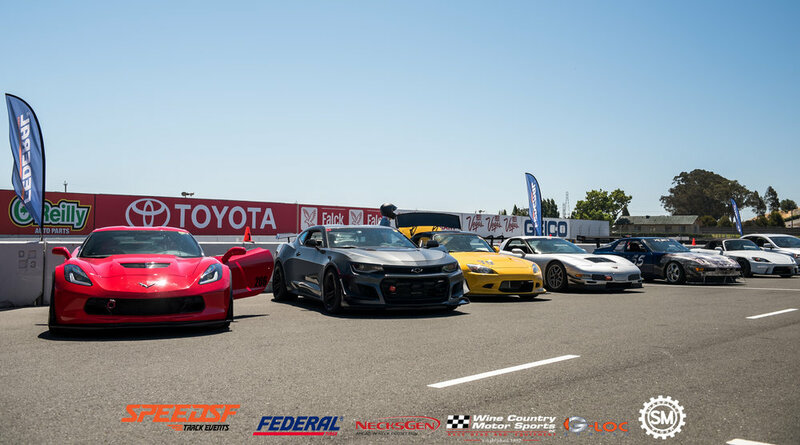 The SpeedSF Challenge arrived at Sonoma Raceway on Sunday to cap off an extended Independence Day weekend. This time around, there were some great times laid down due to fantastic driving out on the track. Featuring 31 competitive drivers, with Groups S1 and S2 having the most participants, the Challenge was sure to be close in track times at this world-class track. Fast driver Tommy Byrne topped this group with a great 1:46.170 lap time, rightfully taking home the 1st place trophy. That should fit easily in the trunk of his 2018 Chevrolet ZL1 1LE. The domestic product certainly flexed its muscles out there during the Challenge. 2nd place winner was Josh Grobin in Porsche 911 GT3 who posted a quick lap time of 1:46.467. The P-car certainly could not outdo the strength of American Freedom. 3rd place winner was Sergey Sinevod whose Porsche 911 GT3 help him lay down a 1:47.409 lap, only three-tenths shy of outclassing the Camaro. Gary Yeung and his Dirty Mango Honda S2000 did it again, bringing home 1st place. He actually beat his old time set nearly one full year ago. On August 21, 2017, his fast lap time was 1:48.603, but this time around, he proudly posted a 1:48.399! What a difference a year makes...perhaps Gary was watching one-too-many Sonoma Raceway YouTube videos during his spare time. Great job! The constantly-rising-from-the-ashes 2004 BMW E46 M3 of Steven Chiu did its best to keep it together in order for the car and Steven to take home 2nd place with a 1:49.865 lap time. In 3rd place, Anthony Calayag posted a 1:51.049 in some type of a Porsche, probably a Cayman. This was another excellent group to watch! Though there were only a handful of entrants for this round, Group S3 featured some new names and faces on the podium, a sight that is always welcome. The other Gary, Gary Wong in his not-dirty marshmallow white 2004 Honda S2000 easily took 1st place on the podium with his 1:52.802 lap time. Only a few seconds behind was 2nd place winner Tony Starckish, who laid down a 1:59.846 lap time in his 1996 Spec Miata. Perhaps the Miata can benefit from an upgraded arc reactor! Scott Whitman took his Lotus Exige S260 for a fun ride and managed to squeeze out a 2:00.639 lap time. Pretty good showing from this class! While this group featured 5 drivers, the top two drivers were VERY close and the podium spots could have gone either way. A domestic product from Ford propelled Gabe Rothman to a close 1st-place finish. The Focus RS Gabe piloted put it all on the line and thus earned a 1:57.320 lap time. 2nd place finisher Sohan Kota, whose skill precedes him at every Challenge he attends, squeezed in a 1:57.453! Close fast lap times by our top 2 drivers in this class. Not to leave out our other podium place finisher: 3rd place driver Greg Liversedge (sick name) put down a respectable 2:05.204 in his BMW M3 (E36?). Some new names in this group as well, and, amazingly, not everyone driving a Miata! This time, a German product took the top spot in this group: Kristopher Hitchcock's BMW Z3 Coupe put down a 2:03.416 lap time, enough for a 1st place podium trophy win! Andrew Wozencroft piloted his 1993 Mazda Miata to a 2:06.407 lap time and a 2nd place finish, while Karan Shertukde drove his Ford Focus RS to a 2:11.833 lap time and a 3rd place podium finish. The lap times varied as much as the makeup of cars in this group this time around. Still, a wonderful bit of driving shown by all! Ah, the big boys came to play. 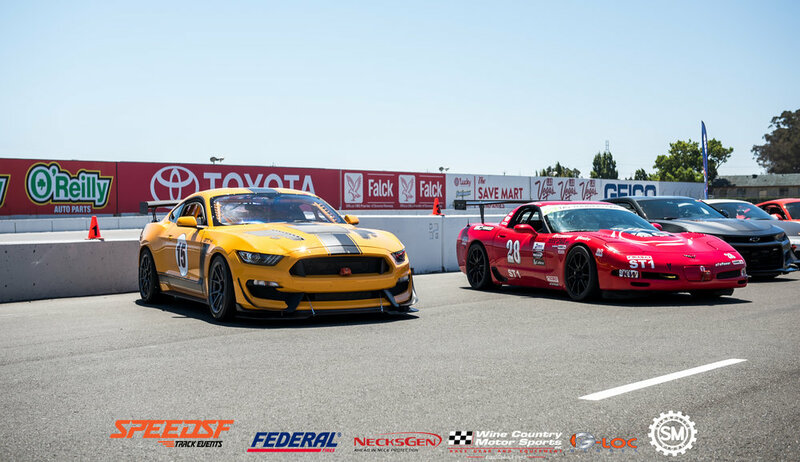 4 drivers aimed to tear up Sonoma Raceway with their powerful vehicles and to really fulfill the obligation of "Run What You Brung". With that said, let's see how well the drivers did. Benjamin Sloss really hustled his 2013 Ford Boss 302S around Sonoma Raceway, resulting in a 1st place finish due to a 1:40.981 lap time! Nice job, Benjamin! 2nd place finisher Robert Harper took his 2001 Chevrolet Corvette for a tussle as well and put down a 1:44.397 lap time. 3rd place winner was Jesse Babbitz in an SRF3 Spec Racer Gen 3 and his lap time was a 1:55.122 - still fast enough to secure the 3rd place podium spot. 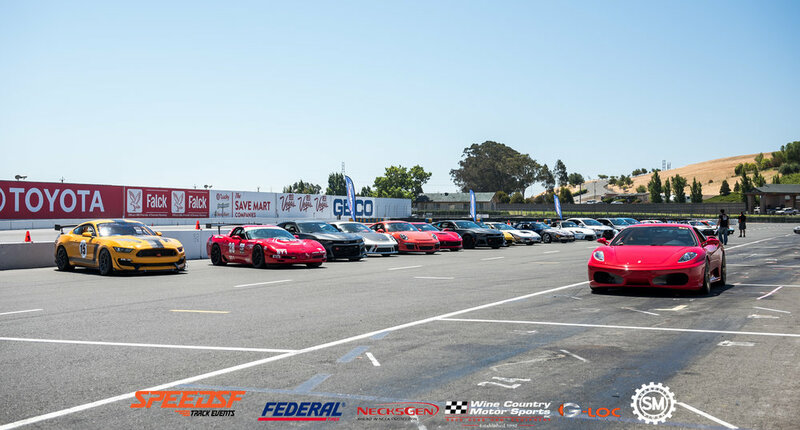 As we look forward to Round 8 of the SpeedSF Challenge at Sonoma Raceway, we want to say that we truly appreciate our sponsors and participants as it would not be possible without them!